For many years in New York City, the Trump name has been associated with excitement and progress. Today, it’s also associated with a passionate love of country. So Donald Trump Jr. was definitely in his element in attending his first PBR event today at Madison Square Garden, the Monster Energy Buck Off at the Garden. “I love the outdoors, so if you can get me out of the woods on a Sunday, it’s got to be a pretty exciting event,” he said. 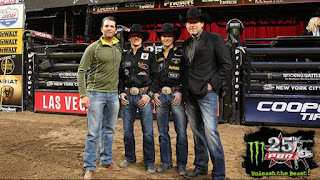 With four of his children in tow, picking out “the meanest” bulls, the president’s eldest son received a backstage tour from another dedicated dad, Cooper Davis who showed the Trumps all the riders’ gear, a pretty cool “show and tell” for Donnie, Spencer, Tristan and Chloe. 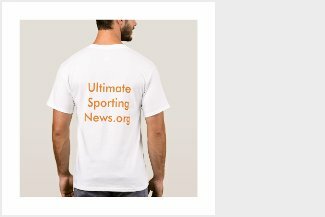 Trump connected with PBR through bull fighter Shorty Gorham, who had initiated a pledge signed by all of the athletes of the PBR to always stand for the national anthem in every country the sport competes in. He made a few phone calls and soon enough, the Trump family was on the MSG scoreboard cheered on by the nearly full house. “I love the patriotism shown here,” Trump said. “When you see everyone stand for the flag and the national anthem without any issues or drama, just Americans who believe in that, it’s awesome. Trump, 40, is an avid outdoorsman, who hunts, fishes, rides ATVs and snowmobiles with his kids. He had been to the rodeo and was looking forward to experiencing bull riding.